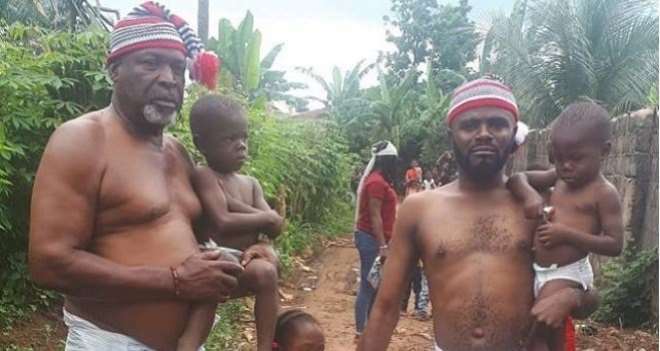 Nollywood comic actor, Oriaku Longinus better known as Chief Imo, is seriously stepping up his acting game as he continues to take on daring roles. 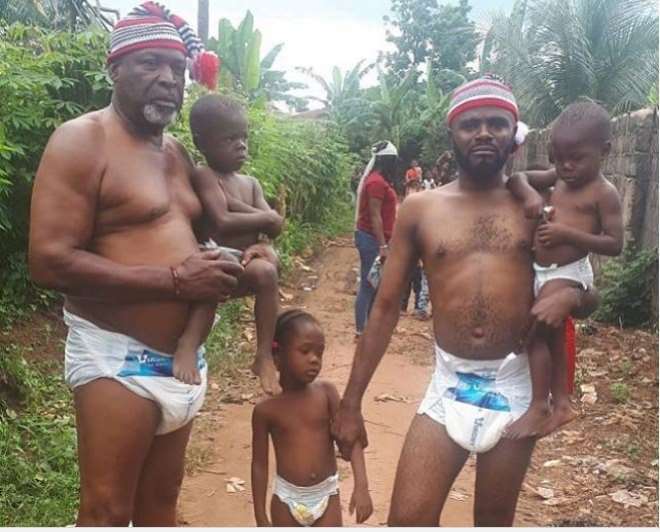 This time, the actor left many laughing out their ribs where he shared a photo of himself and a fellow actor with children wearing baby pampers. 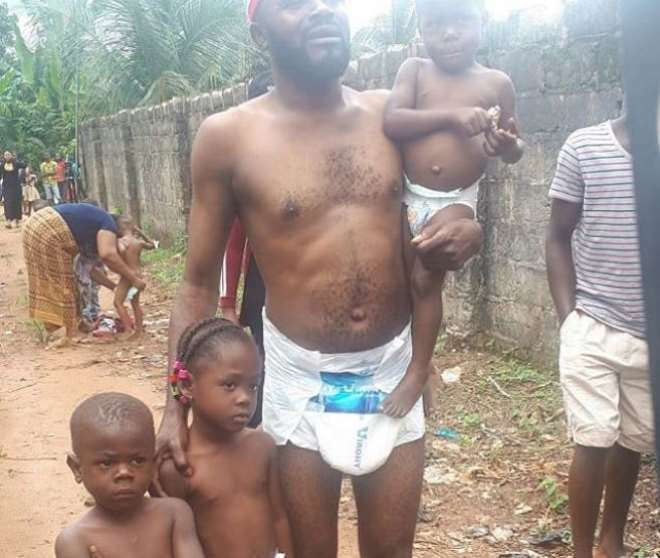 He is currently on a movie set where he had to be dressed that way when fathers denies they are not the one urinating on the bed then the wives came up with this idea of them wearing pampers.